Click here for sound clips and images. Complains that men text her, but never call to ask for dates. Texts men who are not interested in her. Wants a relationship or marriage, but can’t master texting and dating. Hurts because the man she likes is no longer texting her. Sexts with men and is being treated badly. Perhaps you see yourself in this scenario and want to change your texting and dating habits so you can achieve better results with men. When it comes to navigating texting and dating, I don’t make the rules—I just report them. I am the author of the acclaimed book Text. Love. Power. 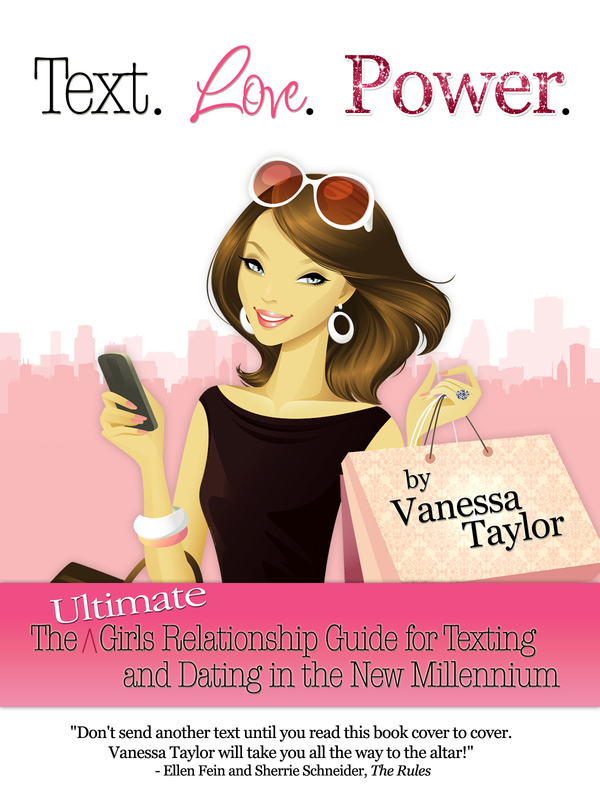 : The Ultimate Girls Relationship Guide for Texting and Dating in the New Millennium. Use the power of texting —and not texting —to pique a man’s interest. Overcome their fears about what happens if they stop texting. Find empowerment using technology while getting and keeping their guy. Establish respect in their relationships by not being so easily accessible. Learn common sense solutions to texting and dating challenges. Who needs such secrets? Single women, divorcees, teens, women with girlfriends who are texting and dating. CREDENTIALS: I am a Rules dating coach who delivers a controversial and riveting dating philosophy with passion and sass. I teach women to get their man by playing hard-to-get. AVAILABILITY: Los Angeles, California, worldwide by arrangement and via telephone.